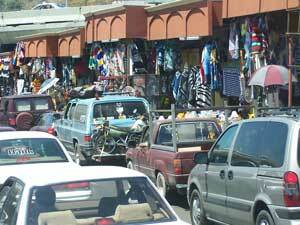 GRN Mexico has developed a diagnostic system to identify local languages. Many different languages are spoken in the Migrant Labor camps in Mexico. The speakers might say their language is Zapoteco but they will not know which of the 73 dialects of Zapotec they speak. Or they might say their languages is Mixteco which has 77 dialects. They do, however know the name of the district they are from. The maps in this diagnostic system help identify the appropriate dialect, by showing which dialects are spoken in each district. Each dialect has a code which is tied to one of the diagnostic recordings. These recordings have 30 second segments of each of the Zapotec or Mixtec dialects. There are four diagnostic recordings, with associated maps and dialect lists. These are for Mixtec, Zapotec, Otros and Norte-Sur. The alphanumeric codes on each item on these recordings are indexes into the maps. In the table below, click on each recording link below to see a list of the dialects each contain. Within those lists, click on the individual dialect names to see a full list of recordings in that dialect. Select the appropriate map, and find the general area the speaker is from. Identify the code, and use this code to identify the dialect name. For example "M33" on the Mixteco map is at Costa Chica. This represents the sample with code "M33" on the Mixteco diagnostic recording. Play this sample, and some of the nearby ones as well, until the speaker identifies their own dialect. 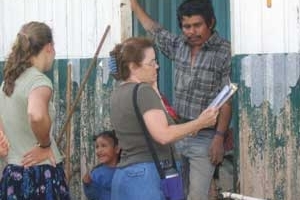 Mexico - Culiacan Project - Thousands of lives are changed in February each year when the Culiacan Project team bring the gospel to the migrant camps of northern Mexico.